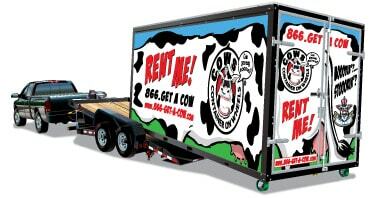 Welcome to COWs - Container on Wheels Mobile Storage! need a moving storage container to move something, or everything, across town or across the country. All COWs locations are locally owned by your neighborhood Moving Company or Self Storage Facility. These locations are owned and operated by your neighbor - folks that live in and have established and built their businesses in your town and community. Your local COWs Dealership is ready to help you design the perfect storage option or moving solution to fit your budget, your lifestyle and your time table. The COWS brand and container was birthed in 2009 from a single parent. The parent was a well-established fabrication company that specialized in the fabrication and modification of large scale commercial marine containers (ISO container). The development of the COWS product line was a natural extension to the "big" container business. The COWS containers are smaller and much cuter than the "big" containers. All COWS containers are manufactured at our plant in Southern Florida. We are very proud of this fact. We employ American workers. We do not import containers from other countries. We weld, we print, we paint, and we assemble with American pride. We opened our first Dealership in Lubbock, TX in 2009. Today COWS operates out of more than 100 locations in the US and Canada and that number is increasing every month as more locations come onboard. We are expanded both nationally and internationally. We recently signed our first location in Brisbane Australia. 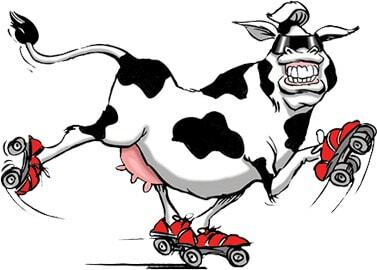 COWS operate two fleets of containers, one that is used locally by neighborhood dealers and a second fleet that is positioned to freely roam between Dealers. This equipment allows a customer to use a container on a local level or use a container to move from one location to another. COWS goal is to have COWS roaming every small, medium and large town and city worldwide. In 2013 COWS won the prestigious Top 50 Companies to Watch in Florida Award presented by Grow Florida in association with Edward Lowe Foundation. In 2015 COWS established COWsCares.org. COWS Cares is the charitable platform that we use to give back to the community.